PlayStation 3 owners will soon have a personal digital assistant to help them figure out whether they want to watch gritty crime dramas or cerebral business documentaries on Netflix. The online streaming service Friday introduced Max, the company's take on services like Siri and Google Now, to the PS3 as a trial run. Max is an interesting addition to Netflix's quest to help users sort the dregs from the gems in its expansive catalog. 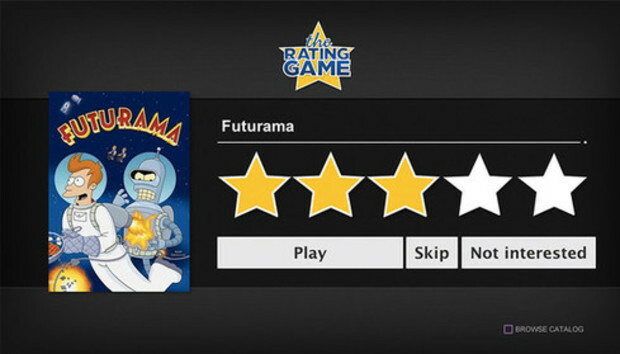 The digital assistant will roll out to PS3 consoles in the U.S. over the coming weeks. Max sits on the third of fourth row of the Netflix start screen and will call out to users with short sayings when the service starts up. We haven't had a chance to try Max yet but, from the looks of things, Netflix layered on the cheese with this service. "Do you smell something weird? No? Hmm. Maybe it's me. Anyway, want help finding something to watch?" That was just one of the groan-worthy Max sayings shown on a Netflix introductory video. While Max does talk, it's not clear if these initial call-outs will actually be audio or just appear as text in a banner at the top of Netflix when you first log on. For anyone who gets annoyed by Max, the service will eventually move lower down your screen if it's never used. Max does not automatically offer suggestions the way Netflix recommendation carousels do, such as "Top 10 for [You]" and "Because you watched..." Instead, Max has a number of methods to help you find something to watch. It may start by asking you to pick a genre like Sci-Fi, and then ask you to rate a few Sci-Fi shows and movies. Based on your ratings, and whatever other secret algorithms Netflix has cooking, Max will come up with a suggestion. Another Max method is to let you pick between two actors (as well as a third choice of neither) and then show you an option based on your choice. Taking a page from Google, Max also has the equivalent of a "feeling lucky" button called "Max's Mystery Call." Using Netflix's recommendation engine, Max picks a selection for you, but doesn't tell you what it is. You then have the choice of trusting Max's choice or not. With the popularity of personal assistants like Siri on iOS and Google Now on Android, Netflix's Max sounds like a great idea. But unlike its Android and iOS counterparts that play it straight, Netflix decided to program Max with a sense of humor. So where Siri delights with straight answers to silly questions, Max may infuriate with silly answers to straight questions. Here's the Netflix video introducing Max. We'll have to wait until we get some hands-on time with Max to know for sure whether Netflix got it just right with Max or strayed too far into the land of lame. But let's just say Netflix's blog post that calls Max the rumored "child of Siri and HAL 9000" does not instill us with confidence in the company's comedy chops. Netflix says Max is strictly a PS3 affair for now and only available to U.S. users. If this initial trial run is successful, the company plans to introduce Max to other Netflix-capable devices starting with the iPad.